Subtitled 'a course for young beginners', this new series of books for is very colourful and will certainly appeal to younger players. 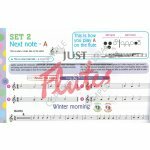 There are plenty of diagrams showing how to assemble, hold and blow the flute as well as boxes for points of elementary theory. The main difference between this and most of the other tutors on the market is that the music progresses quite slowly. For example, there are 6 short pieces using the note B only plus a quiz before the next note is introduced and the first book does not progress into the second octave. 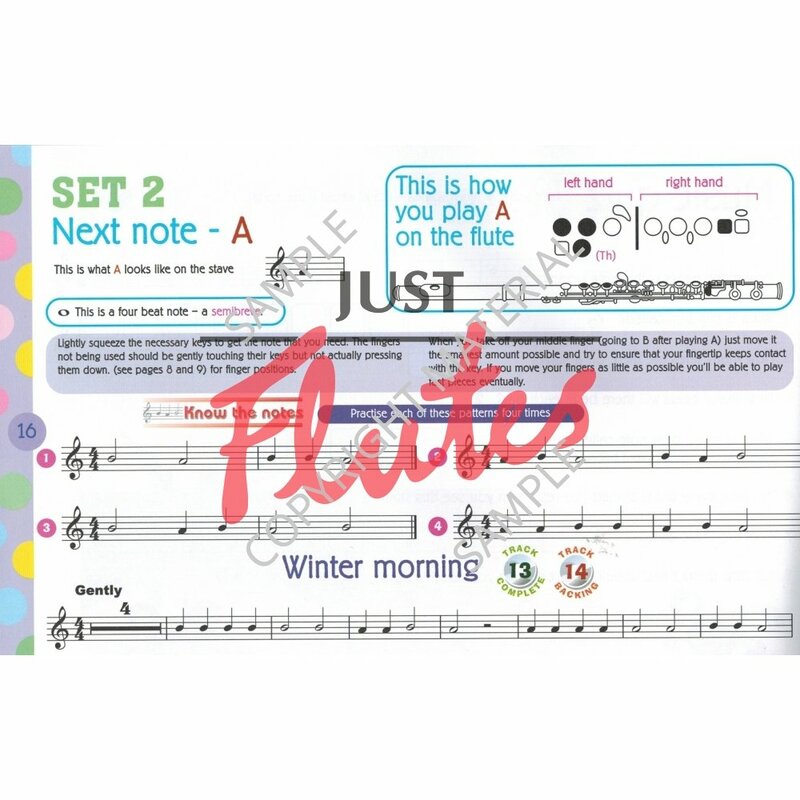 The pieces throughout are most easily categorized as easy listening and the teacher's books contain their fairly straight-forward accompaniments. The CDs follow the usual format of two tracks for each piece - 1 performance and 1 backing only - and the quality is good if a little synthesised. The repertoire books are designed to supplement the basic books rather than follow them, so that means that even more time can be spent cementing each stage of the learning process. Some may find the layout of the main books too fussy and there is certainly a lot on each page. However, I think these are a useful addition to the already overcrowded but very samey tutor market and definitely worth considering if you start pupils off very young.